We can install an APK onto an Android device by connecting the device to a PC with a USB cord and then connecting to the device using the Android Debug Bridge (ADB). 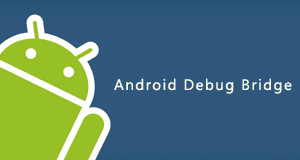 Android Debug Bridge (adb) is a versatile command line tool that lets you communicate with an emulator instance or connected Android-powered device. It is a client-server program that includes three components: A client, which runs on your development machine. Connect the device to the developer desktop environment with a USB cable. To install the application, navigate to the folder containing the downloaded APK. In our exampleC:\Temp and install APK using adb. Execute adb devices again to restart the server, re-detect devices, and try again. Previous Post:Teach your children to learn animal sounds with Google.